Have you ever experimented in your kitchen? I am sure most of you have at one time or another. 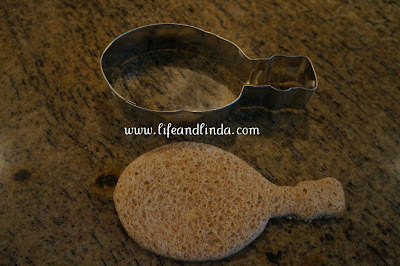 After making my crispy cracker spoons, I thought why not try making edible Bread Spoons. These are easy....Just choose any bread, roll out the bread a little and use a cookie cutter and plop them into your chinese spoons. I baked them in the oven for about 7 minutes or crispy. I set the oven to 375°. I made my own mold out of Christmas bell cookie cutter. I just bent it to get the shape. 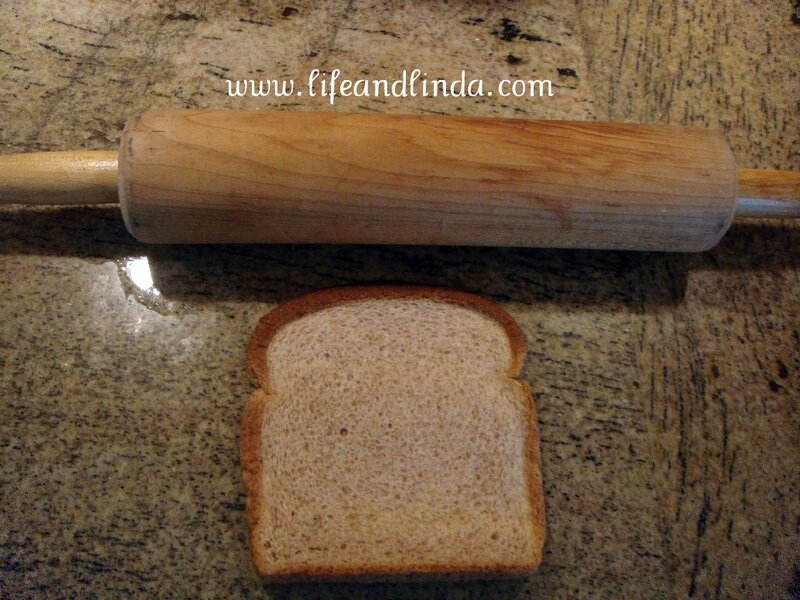 Use your rolling pin to flatten the bread a little. Use your cookie cutter mold and cut out. I did 6 at a time on a baking sheet. 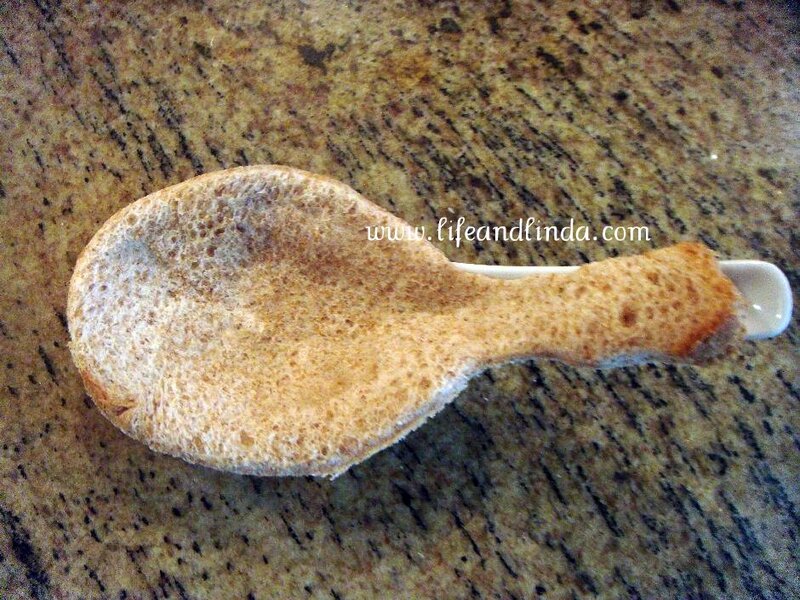 The bread cut-out now sits in the chinese spoon. Put them on your baking sheet and bake. Feel free to get as creative as you want with different breads and toppings. 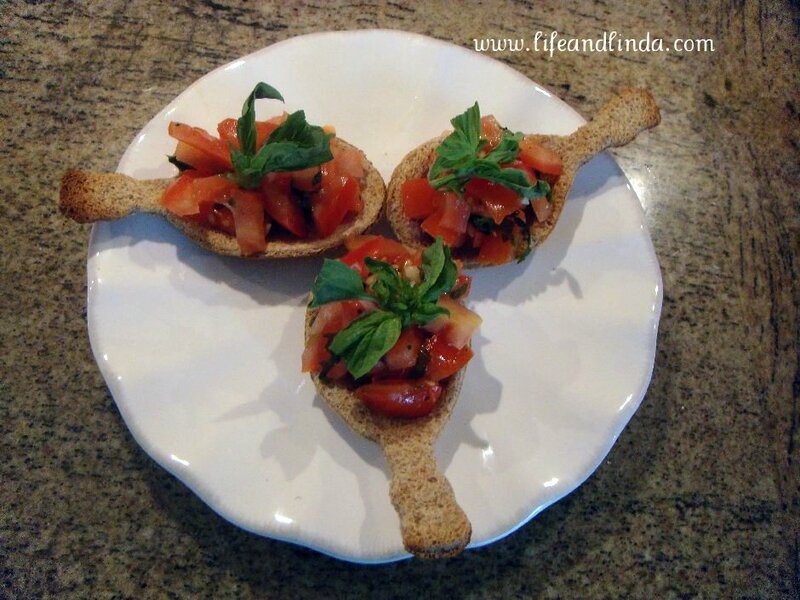 I made Bruschetta with Tomato & Basil. It's a wonderful appetizer. How about Breakfast?.......eggs, bacon and toast, all in 1 delicious spoon. Easy and so very cute. the kids will love them. 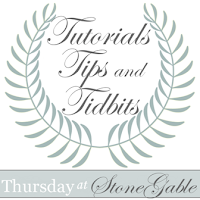 I am linking up Yvonne over at Stonegable.com for Tutorials, Tips and Tidbits. Be sure to pop in, she is having a Giveaway. Thank you for visiting. I hope you enjoy. I love this idea, Linda! Easy enough and looks so appealing. Thanks for sharing! What a fabulously cute idea! Such a cute idea!You always have the best ideas. Yum, I could go for the breakfast bread spoon right now. It's the perfect bite! Cute idea! Food seems to raste better when it's served up in a fun way! This is an absolutely genius idea! I love to serve little bite hors d'oeuvres and these edible spoons are just so fun!!! 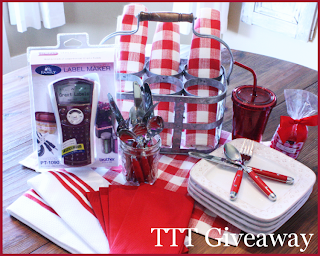 Thanks for joining TUTORIALS TIPS AND TIDBITS and giving the linky party and giveaway a great shout-out!!! Hope to see you back this week! What a fantastic idea! Edible spoons.. yes, please! I'll be making these! Thanks for a wonderful idea! 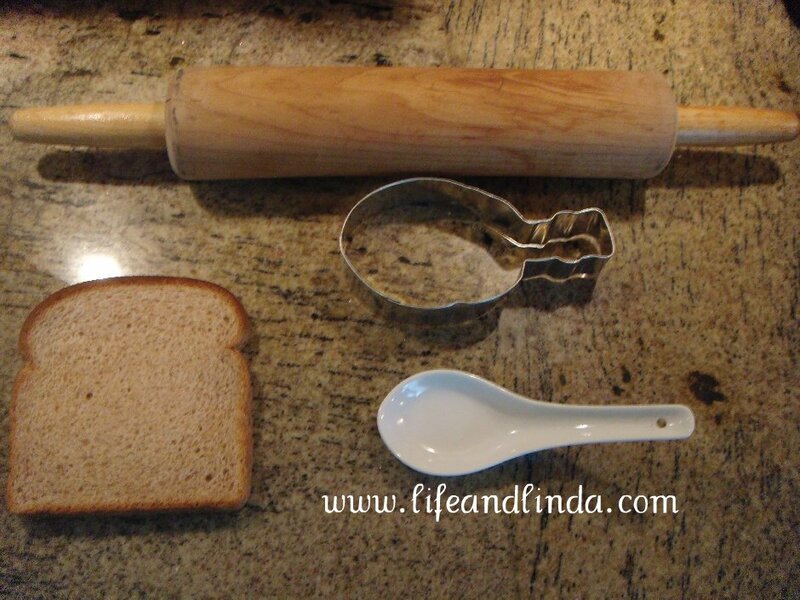 I could go for the breakfast bread spoon right now at your house. Looks like the perfect bite of me! You are so good at this you know. 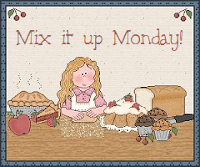 I hope you are having a wonderful week end with you Hubby..
Hi Linda! Oh, you're absolutely the smartest one! I love this idea. You're so clever to even think of this! :) I'll take one, please. Awesome Linda! Love this idea. My kids are gonna eat this. I bet I can do it with a dollop of peanut butter and jelly. This is a fantastic idea for a cocktail table. My goodness, Linda, that is the cutest idea!!! Wow! This looks so good Linda! Very creative. Thanks a lot for sharing this at Creative Monday. Have a good week. This is a great idea! I also went over to see your cracker and goat cheese recipe. 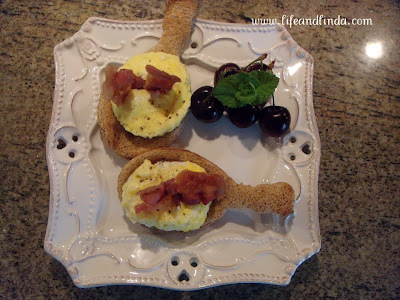 thanks for sharing how you did both of these fun appetizer-ish goodies. I saw this post over at "The Dedicated House". These are the cutest things I every saw. I love them and I am going to try them out. I am following you now too. via email. What a great idea. I love the looks of it as a garnish for a stew or chili if the spoon was made with sourdough bread or something like that. Thanks for this. I so enjoyed the pictorial visit, through your home. What a marvelous place you have!!! Hello Linda! This is a very clever recipe! I'm not the clever cook, that's for sure! I'm lucky to remember the scoop able chips! Oh yes, I'll be following you now!! This is a fabulous idea, It would be so much fun at a party, I will haave to try it. I love your blog ,Very happy to be a follower. Hi Linda! So happy you found my blog! I am really happy to follow yours back! 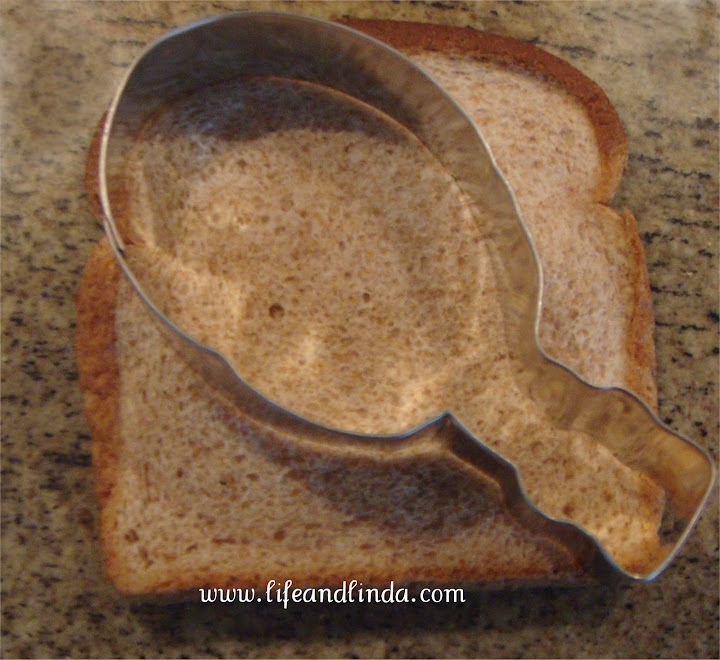 I think this spoon idea is such a great idea. I will try it out. Thanks so much! Linda, what a fun idea. I will be doing this for sure sometime. Sounds so yummy with Bruschetta. Hi Linda! What a super fun idea! I totally love it and can't wait to experiment! Another great post...thanks! 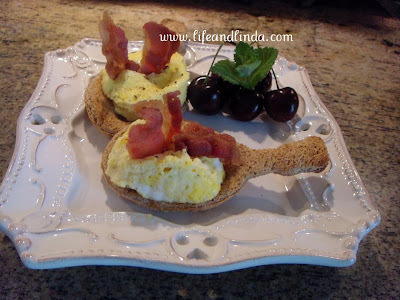 Linda, you are just so creative!! I love that you can eat the spoon. It's so perfect for the eggs and the bruschetta. Love it!!!!! You are too clever! I think this is a wonderful idea! FABULOUS LINDA!!! Thanks for this, it is so cool, I'm loving it! You are talented and creative. Thanks pretty Linda for sharing it with us. This is a very creative post! 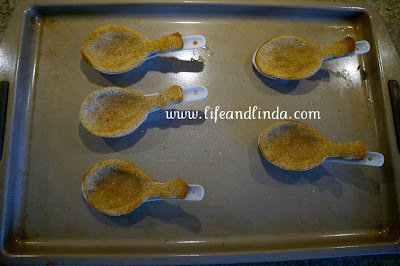 I am very impressed with your edible spoons!! I want to follow your blog, I believe that I can learn something from you. 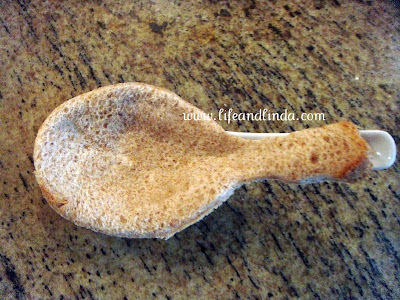 You are very clever to make the spoon from another mold and the results are well worth it. These are adorable. 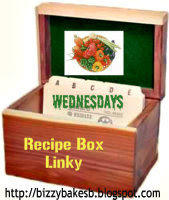 They are being featured on the Recipe Box. Hope you will visit your creations and me. 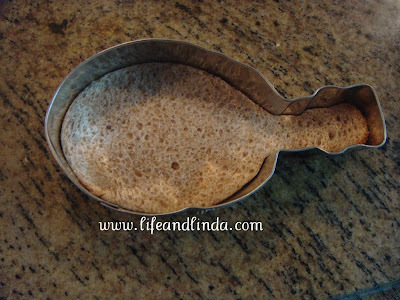 I have never seen anything like those bread spoons! Amazing! Love it. Can I pin these from your blog? Hi I've just popped over from Debbie's Linky party! All I can say is ADORABLE! I love these! I'm now your newest Follower & Linky Follower too! I'm going to pin this on my Pinterest appetizers!